Thank you for your interest in Boot Camp with Kristin and Amanda. 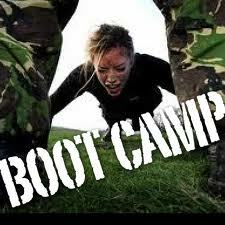 We have teamed up to bring you the best Boot Camp possible and help you reach your fitness and nutrition goals. The 6 week Cedarville, OH Boot Camp will start on Monday, September 9 and finish on Thursday, October 17. The sessions will be held on Monday at 7.15 p.m. and Thursday at 7 p.m. in Cedarville, OH. What can you expect from our Boot Camp? The focus, quality, intensity, and commitment you’d expect from us, trainers with 9+ years of success! Exercises will be appropriate for all levels with modified options for beginners. The workout will include plyometrics, drills on the track, and pilates. Participants will be required to log their food and do daily checkin’s with us via text or email. The Boot Camp will be $120 payable via cash, check, or PayPal. If you participated in Amanda’s Boot Camp program earlier this summer, you will receive a $20 discount. If you refer a friend who commits to the 6 week Boot Camp program, you will receive $10 off of your total cost per friend. Please register for the Boot Camp below. After you register, I will send you an invoice via PayPal. You may pay via PayPal, check, or cash. I will also send you the health forms, waiver and liability forms. Payment (in full) and all forms are due prior to the start of Boot Camp. Please let us know if you have any questions at all!